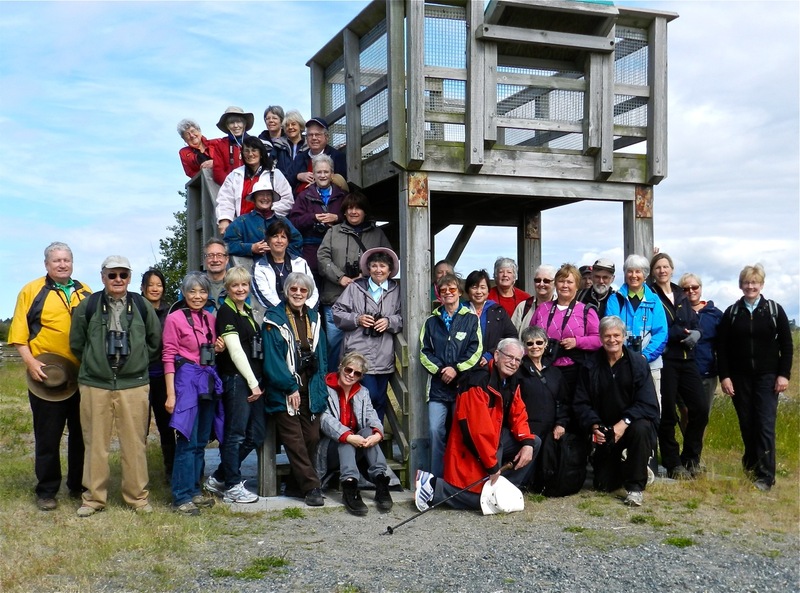 On Wednesday, June 6, we had an almost unwieldy 34 participants for our Delta Nats quarterly Birds on the Bay outing in Boundary Bay Regional Park. It was a beautiful sunny morning. Hi-lites were: Spotted Sandpiper, Lincoln Sparrow, two Bonaparte Gulls, Western Tanager, and especially the gourmet delights prepared by the Delta Nats Ladies at historic Cammidge House (CH) following our walk. Check out Terry’s, Ken’s and other’s photos which I expect to be posted shortly on our DNCB Picasa site at http://picasaweb.google.com/dncbirding. Following a few introductions and briefing, the Gang of 34 (an eclectic group of newbies, regulars and rookies, four MV Park Interpreters, and visitors from Surrey, Langley, West Vancouver and Richmond) set off toward Centennial Beach shortly after 9:00 a.m. Derek had earlier seen a Lincoln’s Sparrow next to Cammidge House which a few folk were able to re-locate. A Northern Flicker grazing in the park grass forced us to make a slight detour to get to the pond by the old Concession Stand. Only Mallards (with ducklings) and Gadwall were in the pond, but a Spotted Sandpiper excited some of us as it bobbed and posed for a couple of minutes on a log before taking off toward the Bay. We crossed the sandy beach to the shoreline and scanned. The tide was out and moving further out, but we saw many Bald Eagles and Great Blue Herons not too far from shore. Among some Glaucous-winged Gulls were two “late” Bonaparte Gulls that should already be in their boreal forest nesting area further north. A couple of Caspian Terns did a fly past. We followed the trail past the new, still under construction, Concession Stand which is scheduled to “officially” open on June 17 (Good Luck). The bushes were littered with Tent Caterpillar nests and Anne pointed out a number of the plant species in the Park, as did the very helpful MV Interpreters. We heard Common Yellowthroats and had several glimpses of this beautiful Warbler, but unfortunately did not see any other Warbler species this morning. Marsh Wrens were also chattering everywhere and most of us saw at least one of them. Savannah Sparrows were also singing and occasionally posing on fence posts. A huge nest of Thatcher Ants caught our attention and Vanessa explained how beneficial they were to the environment (although the mass of thousands of squibbling ants looked eerie and scary to some of us). Lots of Barn and Tree Swallows, and a few Violet-greens, were hawking insects around us. Anne and her group of “laggers” saw a female Western Tanager while the rest of us were watching “kettling” Eagles. Kay and a few others got good looks at a Rufous Hummingbird but we did not see the Western Meadowlark that Tall Rick photographed a few days ago. Don organized the group so that Ken could take the obligatory Group Photo at the Lookout near the boardwalk. We continued along the shore trail toward the Pump House. Both House Sparrows and Tree Swallows were using a number of our Delta Nats Nesting Boxes near the pump house and some baby Mallards in the pond below aroused some smiles. No Shorebirds around, but a few soaring Northern Harriers shone brilliantly in the sun. Cedar Waxwings, Song Sparrows and a Garter Snake entertained us on the walk back to CH via the inside path. We got back to CH shortly after our 11:30 a.m. scheduled arrival. The Delta Nats Ladies (Jennifer, Eleanor and Rochelle) welcomed us with an array of delicious home-made scones, cookies, fruits, cheeses, specialty breads, crackers and coffee or tea. 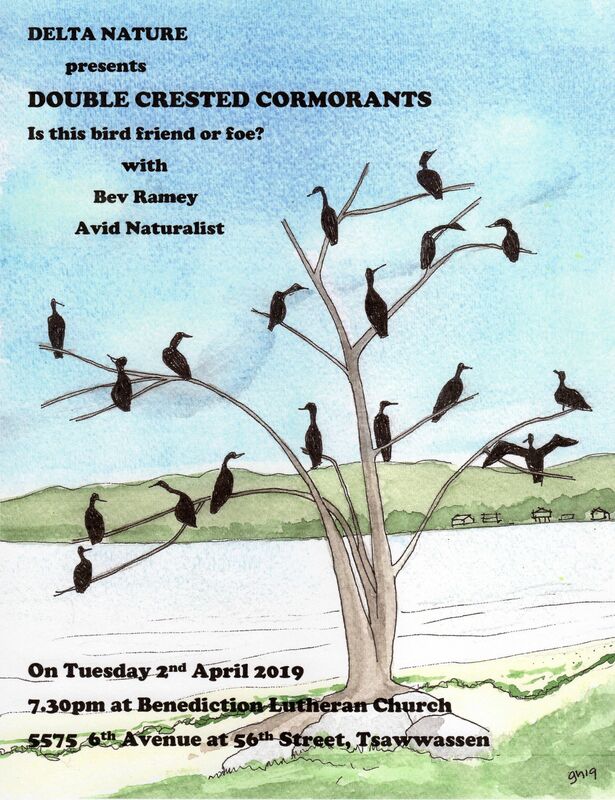 I wondered whether the high turn-out of participants was for the goodies rather than birding. It was a bit of a struggle to keep 34 participants focused and entertained, but I think everyone enjoyed the morning, met some new friends, and got an appreciation of our local birding paradise and why it is Canada’s most important International Bird Area (IBA). 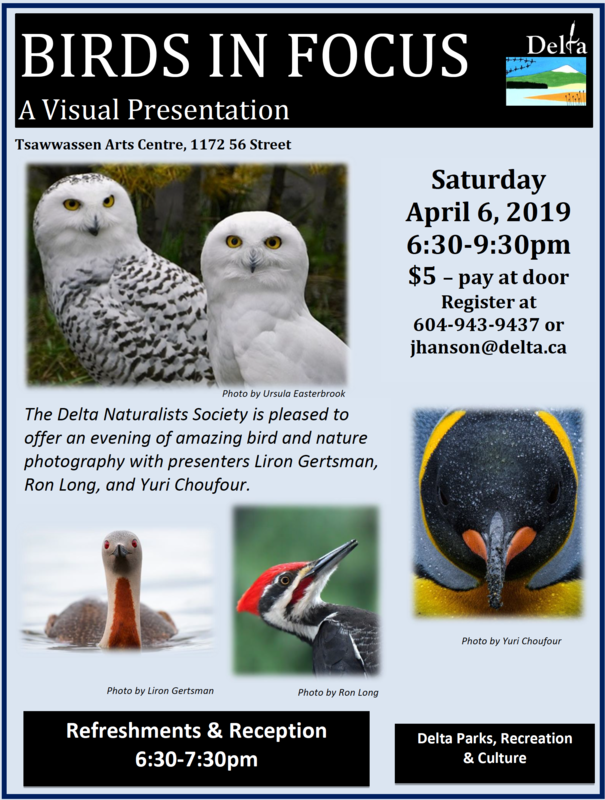 Next Monday, June 11 is the last meeting (until September) of the Delta Naturalists’ Society at Cammidge House at 7:30 p.m. Amanda Adams of the Canadian Wilderness and Parks Society will give an illustrated talk entitled Forever Wild. Everyone welcome, and its free. The next DNCB outing will be Wednesday, June 13 leaving Petra’s at 7:30 a.m., destination to be determined. As always, comments encouraged, check out our Blog at www.dncb.wordpress.com, and tell me if you’re sick of receiving this unintelligible chatter (i.e. gibberish). 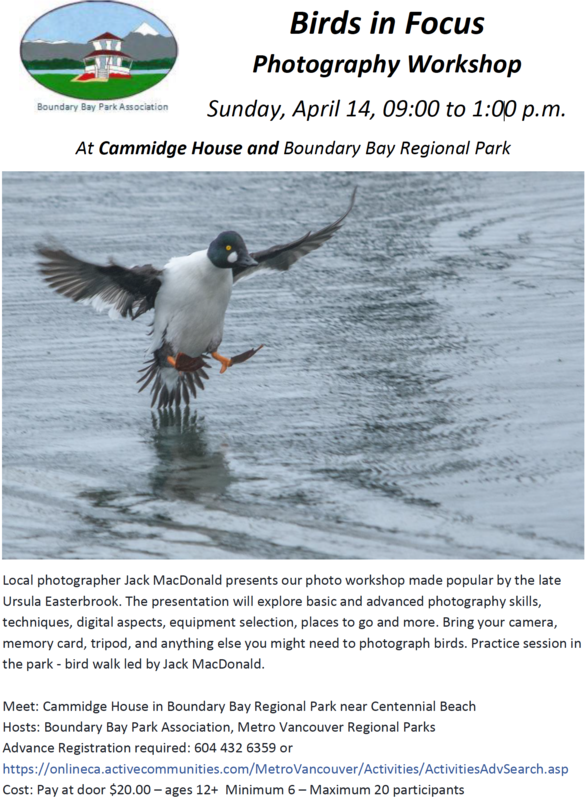 This entry was posted in *DNCB, BBRP, Birds-on-the-Bay, Boundary Bay, Cammidge House. Bookmark the permalink.